It is known that developer Human Head Studios had planned something vastly different for the follow up to the original 2006 sci-fi hit Prey than what we got from Arkane Studios earlier this month. The reason for Prey 2's cancellation stemmed from a legal/buyout dispute between Human Head and Bethesda. While the legal wrangling involved is somewhat interesting, more intriguing is the game that we missed out on because of the feud. Bethesda and Human Head announced Prey 2 back at E3 2011, so a recap of what they showed us might be in order. Like 2017's Prey, Human Head's Prey 2 was not going to have much to do with the original title; at least not for what they showed us at E3 2011. The only connection to the first title was the origin of the protagonist. The main character, Killian Samuels was a US Marshal transporting a prisoner onboard the plane that wrecked on the mothership (the Sphere). If you played the first game, you might recall watching the plane crash while fighting your way through the Sphere, and being stunned at the size and scope of the alien vessel. Prey 2 picks up just after the crash and has Killian fighting his way out of the wreckage. During his struggle, he gets taken by surprise and gets knocked out by an alien. When he awakens, he is on a planet called Exodus. Ten years pass in the strange world, and Killian becomes a bounty hunter. One of the tools of his trade is a teleporter that he straps to his bounties to instantly transport them to specific coordinates stipulated in the contract. This dynamic is important to remember as you will see later. This little bit of plot and some gameplay were demoed at E3. However, Eurogamer’s Chris Bratt had a sit-down with several of the game’s developers and got the full story behind the game that was almost complete, but never saw the light of day (watch the video below). 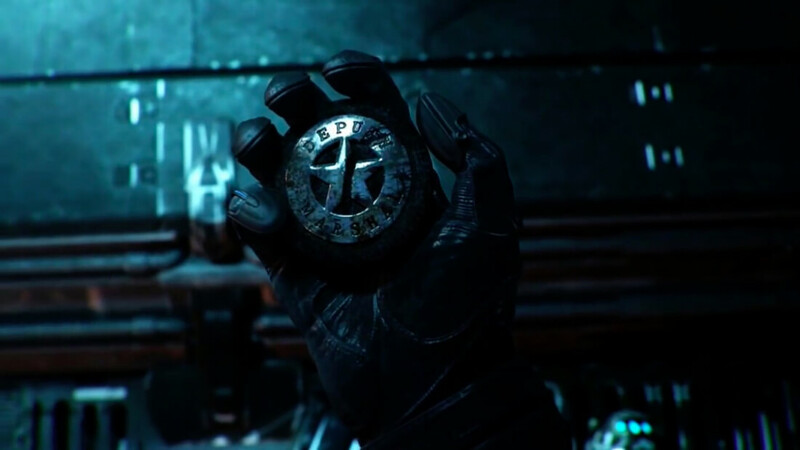 While the developers had no intention of tying the game to the first Prey more than what was mentioned above, as development continued, they decided to crossover a bit more into the original universe. As the story progressed, Killian would eventually meet up with Tommy, but it would only be Tommy’s spirit form. You may recall Tommy having a spirit guide in Prey that was his uncle who had been gruesomely killed by the aliens. However, Tommy is not dead; he merely communicates with Killian in his spirit form because aliens called the Keepers had imprisoned him. As the game progressed, Killian would come to free Tommy, and they would fight together to defeat the Keepers who were building a new Sphere to continue their conquest of Earth. When Killian meets Tommy, he thinks it is the first time they have ever met. However, every time the player dies and respawns back at his apartment, it is actually his consciousness being transferred into a clone. In fact, during the time between the plane wreck and when Killian wakes up on Exodus, seemingly for the first time, he has actually died hundreds of times fighting alongside Tommy and just cannot remember it. It is sort of like a super sci-fi version of Groundhog Day. This plot twist is revealed toward the end of the game as Killian begins finding dead copies of himself all over the place. However, Human Head had planned a gameplay mechanic that would foreshadow this revelation in the way of respawning after dying. Developers had conceptualized players having to pay for clones with credits they earned from bounty hunting. No credits = no clone = game over. This dynamic would cause players to think about how to approach a potential battle scenario when low on credits, e.g., “Can I afford to fight my way to this next bounty or do I need to take a stealthy approach?” It is an appealing alternative to the constant run-and-gun that is typical with most shooters. The game had many design elements that were groundbreaking at the time, but that we've since seen in other games. The developers point to games like Call of Duty and Titanfall as examples. The game was also to hold one final surprise, which in hindsight, would have redefined what it currently means to complete a game and start over with all your skills. In the last chapter of the adventure, Killian is trying to escape an exploding Sphere 2 and gets blown out a window into space. In a desperate attempt to save his life, he straps on one of his teleporters and punches in random coordinates. The device sends him back to Earth, and the credits start to roll. During the closing credits, we watch as Killian lives out the rest of his life. He settles down, starts a family, and at the very end dies in a hospital bed. The screen goes white as Killian flatlines and then the player is greeted with, “Welcome back, Killian,” as he awakens in his apartment on Exodus. The formula of continuing your game after the ending is a mechanism that is not uncommon. It has been used in Fallout and other games, but it has never been applied in the manner in which Human Head had planned. The ending also left open the possibility of many sequels for the franchise. Whether all these concepts and ideas would have worked in the final product, will never be known. However, on paper, Prey 2 by Human Head is an arguably more compelling game than the Prey that Arkane put out for us in 2017. I can't say I'm very excited about it and I never really enjoyed the 1st game. Sci-fi has never been my favourite genre in any form, it doesn't make much sense to me, it's just someone's vivid imagination. This Prey concept sounds infinitely more interesting than the current release is in practice. Odium, psycros and alabama man like this. True sequel would have kicked ***!! Odium, psycros, alabama man and 1 other person like this. Odium and alabama man like this. Sounds more like the type of sequel that I would've actually bought around release. Odium, psycros and davislane1 like this. I never played Prey, neither the first one or the recently released one, but these concepts are awesome, and I would've loved to play a game like this. I like everything I hear about this..FAR more than the story we got instead. My only complaint? Nobody is named "Killian". Yeah that would of been better than what we recently got, but I still liked the latest installment in the Prey series. Just started my second play through so I can try out another build. That's just about everything, ever. It's 100x's easier to come up with concepts and ideas than to actually execute them. Once you start executing an idea you need to make sacrifices dependent on money, time, etc. The finished product is never as good as you hoped. For every Half-Life 2, we get 1000 Prey's. There's a big difference between making sacrifices and under delivering. The reason why a finished product fails to meet expectations is because a) the ideas exceeded the capabilities of the team (Technomancer, NMS, Star Citizen) or b) there wasn't a good idea to begin with (Ark, Mass Effect: Andromeda). And the name of the son of my friend. Yeah. Haven't you ever had a Killian's Irish Red? Just because a game is great doesn't mean there weren't sacrifices. We have no idea how Super Mario World (or similar games) could have been improved or what was left on the cutting floor. You are intent on disagreeing with even the mos agreeable points. The finished product is never as good as you hoped. "Making sacrifices" does not entail failing to achieve what you or your customer hoped for for the sake of finishing. It means shelving ideas you can't sufficiently execute that would detract from the final product if included. SMW exceeded all commercial and consumer expectations (as evidenced by the fact that people still play it enthusiastically 20+ years later). What was cut doesn't matter because what was included got the job done. Products let people down because the party making it markets bigger promises than they deliver, not because "things get cut." The gameplay premise and mechanics for The Prey That Never Was is interesting, the current game is not. The reason is specifically because of how Prey (2017) is marketed and what is actually delivered. They didn't "sacrifice" a compelling story and characters to account for budget constraints. They didn't "sacrifice" core gameplay design re: combat and pacing to meet project deadlines. They simply didn't design an interesting game. If a game fails to meet your expectations, it probably isn't a very good game. How do you know there developers of the 2017 Prey didn't leave things on the table? And how does SMW being a good game somehow avoid what I'm talking about (leaving stuff on the table)? This is a pointless argument if you try to change what we are talking about. Till the next time. Not relevant. What they put on it isn't any good. Because it didn't fail to measure up to hopes. This is a pointless argument if you try to change what we are talking about. Your ability to detect a topic change is about as strong as Arkane's product portfolio. I was expecting something more of a sequal in terms of story to the original Prey...I mean this one was ok but I preferred the story of the original. I KNEW IT! , ****, why this was cancelled, damn it.